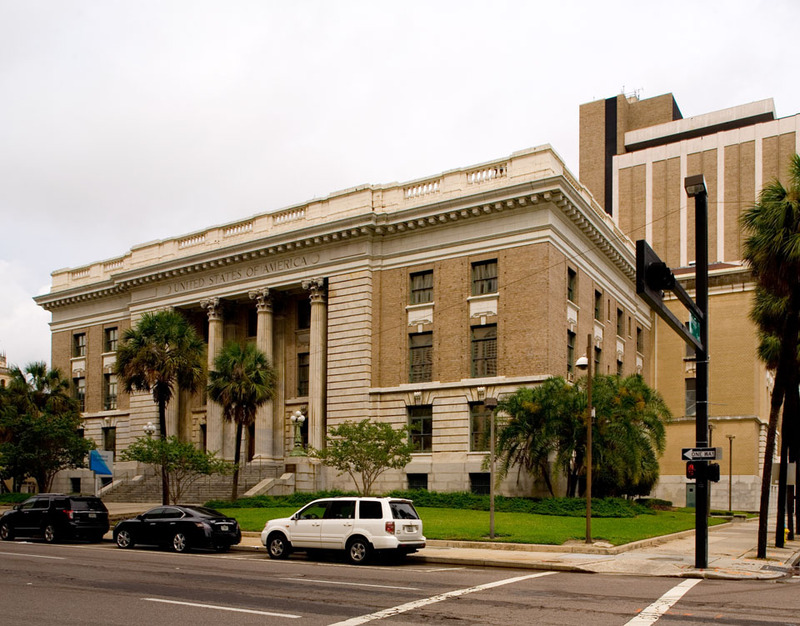 The former Federal Courthouse closed years ago. 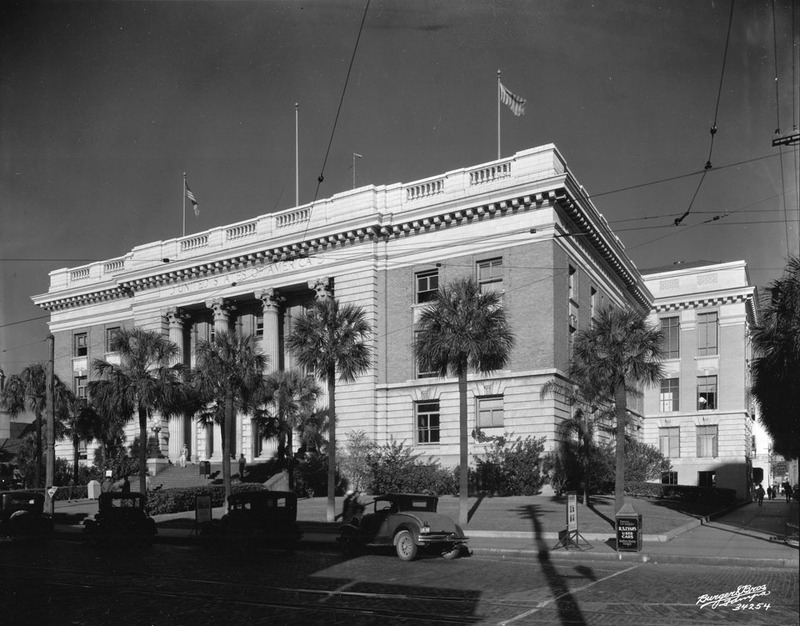 Fortunately, the City of Tampa has been continuously maintaining it to prevent it from falling to disrepair. The trash can, in the bottom right of the photo, says “Famous for Bargains R.S. Evans Used Cards Madison-Marion Morgan”. Further down the sidewalk, you can also see a sign for the old Union Bus Station.